Continuing its model of transparency with the Android community, Essential has wrapped up yet another AMA over on reddit. This time, the team discussed potential fixes for touch latency and scrolling bugs, aptX support, how Project Treble will improve its update rollout speed, and much more. When you’re doing bi-weekly AMAs, it’s hard to get exciting news each time, but the fact is, no other Android OEM does this, and we think it’s a breath of fresh air. The team seems very good at responding to comments, even potentially hurtful ones, which goes to show they do care about putting out a good product. That’s all anyone can ask for, I suppose. Here’s a few of the highlights from the AMA, and take note, the team is switching to monthly segments from now on, no more bi-weekly. Please, talk to us about touch latency and scrolling fixes. I know we’ve been saying this for weeks but we have pulled aside resources that specifically committed to improving touch and latency. There are trade offs we are testing internally and our goal is to provide something in the 8.1 release we just need to make sure by fixing the jitter issue that we are not creating another problem. Sorry this is taking so long, we just want to get it right given how vocal our audience is. Stay tuned for new updates on accessories but we don’t have anything to share right now. 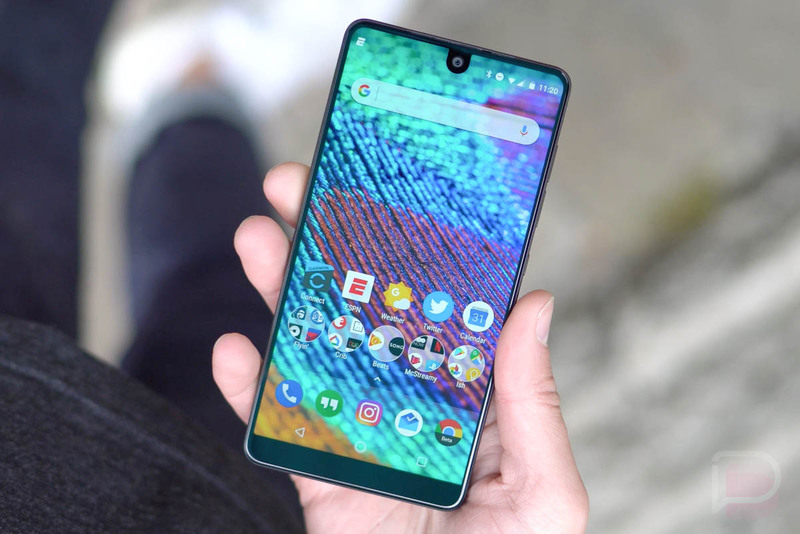 Tell us more about what Essential offers on top of AOSP. Will Project Treble help with quicker updates? When google does an AOSP release it’s not like when a new version of windows releases and you can install it on your PC that day. There is a significant amount of work to go from AOSP to a release. You have to integrate to your chipset and to all the unique components that make up your electrical design. Even though Pixel 2 and PH-1 have the same Snapdragon 835, both have closed source pieces that aren’t released as part of AOSP. Once you’ve done the integration you debug any new issues, stabilize any second order bugs like battery life and performance. At that point you are ready to put your customizations back on top. Then finally, you can make a release. We are really enthusiastic about how Treble will improve this process and we’re starting to see that pay off in 8.1. What’s being done about cell reception issues? Yes, we are looking into this more. We have a series of modem changes coming in our future 8.1 release but it is hard to quantify the direct impact improvement to the issues you are specifically having. Overall though modem stability should definitely improve in 8.1. There are still apps that haven’t been updated, where the nav bar still sits over the app. Fix? This is certainly a challenge given that we are one of the first devices with extra screen real estate at the top. We have been reaching out to developers throughout the course of the project (similar to how you email them) and some are great at responding and fixing while others we never hear back from. To mitigate this moving forward, we are working on a switch in settings that will default all apps to run in full screen mode that the user can toggle. That way users have the option to control how their app runs until 3rd party app teams catch up. It helps us though when our customers mail developers in parallel too so thank you for that! Plans to enable camera app to record audio from an external microphone using the USB-C to 3.5mm adapter while recording video? This is something we can add to our backlog for the camera team to look at. I’ll create a feature request ticket after the AMA for us to investigate. Good idea! Any comments as to your plans to include some type of software implementation to actually make use of the monochrome lens to improve low light color shots? The dual camera fusion algorithm does feature matching to correct for parallax between the two images. If it can’t detect a good match it will fall back on using the RGB image. This can happen when your subject is too close as the parallax is too large, but isn’t tied to low light specifically. AptX is coming in the release after Beta 3! We got our contracts in place and just received the libraries today. It will be going into test for validation immediately so by next AMA we should have some good news for you. Describe the sound of your Hi-Res earbuds. Were these designed from the ground up, or did you guys pull existing parts from a shelf? The earphones were designed based on our specs and are made with a combination of custom and off-the-shelf parts. The sound is generally balanced and neutral, with strong, well-defined bass. Are there any plans to implement RAW support into the camera app? It’s something we’re looking into. Reminder, Essential is switching to monthly AMAs now, no longer bi-weekly. They will host them on the 3rd Wednesday of each month, just in case you want to follow along.